Well hello internet! I haven’t seen you since back….you know…..at that thing…. Anyway how have you been?! Yes, yes I know. I’ve been a little light on the sharing of news lately. I have been doing plenty, but in small incremental pieces that never quite triggered an update. My bad. I must learn to make small incremental posts. I must be more of a friend to you, internet, like you are to me. I will learn. But here we are now. So here’s the catch up. The biggest thing happening in the background has been preparing the live show. I know my stuff can be a little hard to ‘crack’ at first, so I’ve decided that birds in branches needs a good live show, as kind of a ‘way in’ to grasp the songs. So I’m trying to learn to play my songs in such a way. It is slow and humble work, and I should again mention slow. But I’m making progress. 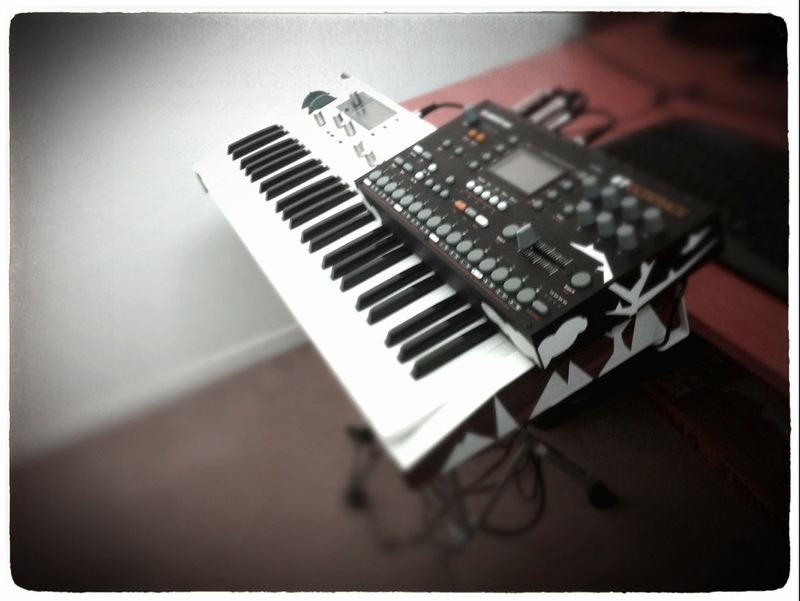 I have built a new live rig called ‘Cumulus’, and have been turning and tuning my songs into different beasts – live beasts. You can see Cumulus in production mode up top. I also have new songs and sounds and material in a queue of progress. The songs are (in my opinion) getting more vivid, and my sound is getting larger. Some are not so far from some live testing and teasers already, and I am pretty excited about that. 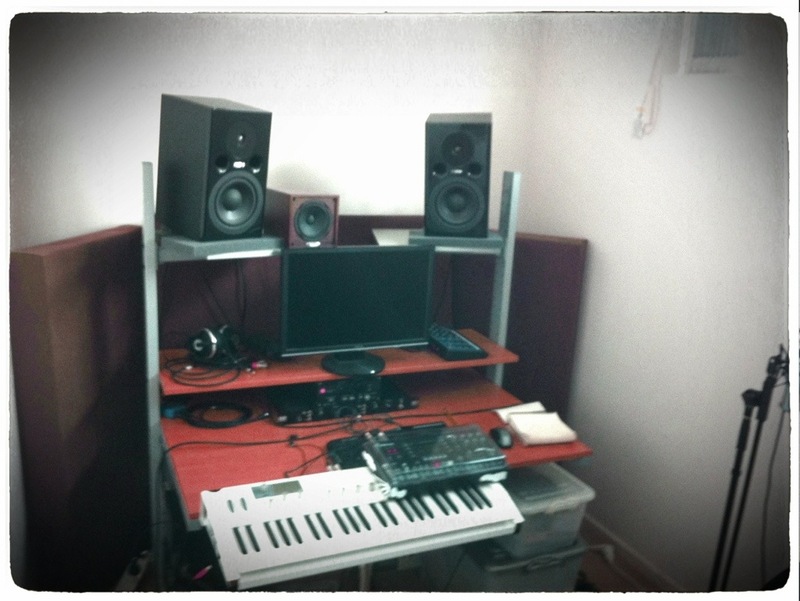 And last of all, our home just moved, and with it, the home studio. Good or bad? GOOD. The new home studio is possibly the best sounding room I’ve ever had access to. Plus in contrast to the last room, this one is further away from Nai attempting to sleep. Much further. So I’m looking forward to stepping things up again. I have already done a few late nights, like old times. I have some extra gear and sound treatment coming to make the most of it’s potential, then I dream of locking myself in there like a crazy hermit. Here is the new space, waiting for the new pieces to arrive. Now you may be asking yourself how you missed my shows this year. Don’t beat yourself up, you didn’t. I didn’t play any. Well, any public ones. But that is ready to change. I’ll post the details soon, just keep the 20th of October free. Ok so there is a fair bit of catching up. But it’s OK. Fear not. I’ll come back with more detail and casually engaging rhetoric because I’ve returned to communication. I am back. This entry was posted on September 13, 2012 by adam.. It was filed under Uncategorized .